Believe it or not, despite the fact that dogs love to go for rides and explore all of the sights, many dogs suffer from motion sickness. 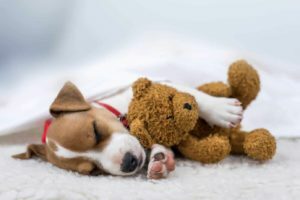 This condition puts the dog in a position where they start to feel sick and may even experience a type of disorientation that makes them uncomfortable when they are in motion. 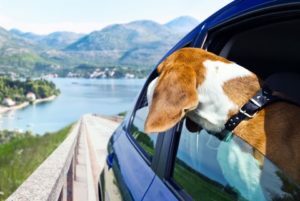 Just like people, dogs can experience motion sickness while riding in a car, boat or airplane. When a dog experiences motion sickness, many complications may occur. That’s because they become uncomfortable and their stress levels increase. There are several reasons why a canine may start to experience motion sickness. In younger dogs, it is believed that the development of the inner ear has a direct impact on the development of the issue. Dogs that typically exhibit symptoms of hyperactivity also may experience the symptoms of motion sickness. Then, there are many dogs that may experience a type of anxiety when it comes to being in motion. It could be because the dog has had a traumatic experience in the past, they may feel uncomfortable in the vessel that is in motion or they may feel confined. 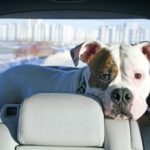 The first step to helping your dog overcome motion sickness is to make a determination of what could cause the issue and address that directly. 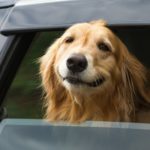 The next step that you may take in order to get your dog over motion sickness is to ensure that they are comfortable with the vehicle or the other motor vessel that you would like them to ride in. First, you could sit in your car, for example, and encourage your dog to join you through the use of positive praise and rewards. Once the dog is inside the car, play with it and talk to it. 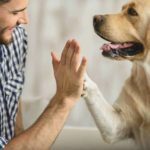 It is important to be completely positive and to give consistent praise to your pet. Eventually, the pet will start to view the car as a place that is associated with excitement, praise and rewards. Next, start the engine and drive around the block. Eventually, you will find that you are able to travel longer distances without your dog developing motion sickness. 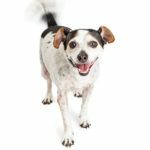 If you find that your dog is unable to overcome this condition, it may be necessary to address the issue with your vet. There are many different forms of treatments for this condition if natural training and conditioning does not prove to be effective.